Compare Business Electricity Prices Online? As a business, it is always beneficial when you get to choose among a wide range of services. One essential business service that contributes largely to your monthly bill is the amount spent on energy every month. Energy deregulation has come as a blessing to business owners, because now they have the freedom to select which energy company to work with. These companies offer electricity at different prices, which makes it vital for a business to know the available companies and what they offer. What services do you expect from an electricity comparison website? Decision-making in a business needs to be backed by relevant information that is up to date. This is the same case when choosing an energy supplier for your business; you need to be able to get information on different suppliers before you make the important decision. 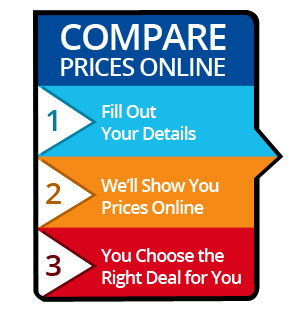 An electricity comparison website gives you a chance to compare the rates and analyse contract information offered by different providers both locally and nationwide. All this information is accessed from a single point, saving you the time you would have spent hopping from one site to another. How do you compare business electricity prices? Enter the postcode of your area so that the tariff calculator can return all available tariffs that are found in your area. Enter details about your current energy provider. The details you need to input are your name, current tariff and what you pay each month in terms of energy bills. Choose the tariff types you are interested in and how you wish to pay for it. Wait for the site to perform a comparison and show the results. That's easy, right? That is all you need to do to get a comparison report. You can complete this a few minutes especially if you have all the needed information at hand. What do you gain when you compare business electricity prices? Getting a cheaper tariff saves you money. However, this is not the only advantage you get. By comparing energy suppliers, you get improved services. Have you been frustrated by the level of response or customer support you get from your energy supplier? Well, you can get better services in a few minutes. There are many alternatives you can choose from when you use an electricity comparison site. The use of green energy is taking over the world and many people who are conscious of their environment prefer it. You get to compare business electricity prices from many suppliers who offer green energy solutions such as solar power, wind and hydroelectric power. Have you ever tried to compare the price of energy from different suppliers through print media, via telephone or by visiting the companies personally? This will take you any time ranging from a few days to even weeks! You cannot compare this with the few minutes that you take when you do this online. The results you get are comprehensive and relevant to the area you live. The results you get from your query will be comprehensive enough to convince you to switch to a better tariff. Depending on the answers you supply to the questions asked, you get to know where you are standing in terms of the rates you are paying, what you are saving and how much you will save further if you switch the tariff. Times come when you are required to relocate from one state to another. Before committing to a supplier, you have to compare business electricity prices between different suppliers in the area. Do not rush to switch to a different dealer before you know what benefits the current one offer. The best thing is that before you move into the new house, you can get the information you need fast. Don't pay more for electricity anymore! With relevant details and an internet connection, you have the power to decide the amount you will pay this month! How Different Are Business Electricity Tariffs? UK energy pricing can vary greatly from supplier to supplier. This is true of commercial electricity suppliers, business gas and other utilities. The differences can be so varied that even when two neighbouring businesses of similar size and energy usage, using the same energy provider, one can pay up to two or three times more than the other. It’s essential for us to understand these varied costs and we’ve seen commercial electricity rates range from over 25p per kilowatt/hour to less than 7p per unit. As you can see, that’s quite a jump, which is why an effective comparison can really make a difference. What Commercial Business Rates Are Available To My Business? There are a few factors that determine what business electricity rates are open to your company. One of the main factors is your business’credit rating. As with many things in life, the better your credit rating, the better your options. For example, the number of suppliers you can choose from can be limited if there’s a history of bad credit in the company. New business electricity tariffs might only be available from 2 or 3 possible suppliers. There are other things to consider when looking for your best electricity tariff. This can be based on your post code or your business sector, such as manufacture or retail and business type. Whether you’re a sole trader or limited company can also make a difference to your commercial electricity rates in the UK. Of course, your energy consumption is also a major factor to how much you’ll be paying on your business electricity rate. It’s worth pointing out that when trying to get that better electricity price, pay by Direct Debit. As the preferred method of payment for many energy companies, offering improved prices for using Direct Debit if there are payment options. Who Are The 'Big 6 ’ ? When reading about the ‘Big 6’in the press or Ofgem, it seems like there are six large companies dominating UK business electricity supply. Aside from these commercial energy suppliers are several other providers. However, it’s not that clear cut, not when you consider that British Gas and SSE have 6 trading names each. The competition is rather misleading. That’s why talking to us helps to clear up some of this confusion. Why Are Your Electricity Prices The Best For My Business? We’re in an excellent position to offer you the best prices because we’re 100% independent and not affiliated with any business energy companies. While remaining completely independent, we work closely with UK electricity suppliers to negotiate preferable rates on commercial business tariffs UK wide. These tariffs are exclusive to us, allowing our team to find the lowest price with the best deal. As our customer, you come first, no matter what commission we’re offered by energy suppliers. We are completely free. As a customer, there is no charge to you for our efficient, friendly team finding the best commercial electricity tariff. So how does it work? Once you’ve set up your contract with your supplier through us, we receive a small arrangement fee from which ever supplier wins your business. We want you to spend your money where it should go – on growing your business. Why Do You Need To See A Copy Of My Bill? Your business electricity or gas bill shows a lot of essential information to help us put together a quote. An energy quote includes details such as a unique meter reference number (a 10 digit 'MPR' for business gas or a 21 digit 'MPAN' for business electricity), which we need to confirm your company's energy consumption. Your energy bill also tells us what kind of meter you have, which supply area you are in and what kind of electricity/gas user you are. This information ensures that we get your information right when putting together your new commercial electricity or gas tariff. How Will I Know What A Meter Reference Looks Like? Your meter reference will be either the MPAN (Meter Point Administration Number) or MPR (Meter Point Reference). You’ll find your reference number printed on your business energy bill, starting with an ’S’. What If I Don't Know My Contract End Date? If you don’t know when your contract ends, or if you currently have a business electricity contract, don’t worry. You can find this out from your supplier by asking them to check your contract. Alternatively, we can help. By authorising us to look into this for you, we can contact your UK commercial energy supplier on your behalf. What Are The Different UK Commercial Energy Contracts? A rollover contract is ‘an agreement between two parties that is automatically renewed’. Such agreements are also referred to as ‘evergreen’or ‘assumptive renewal’contracts. Rollover electricity contracts are automatically renewed without the need of a renewal process, that is until either you or your commercial energy supplier cancels it. This can be by a termination notice from either party. Suppliers prefer rollover contracts as they can carry on indefinitely. As many as 90% of customers are kept this way. However, by continuing to renew without looking at the pricing, it’s possible to be moved on to a contract with higher energy costs, often without the customer’s awareness. Do I Have A Rollover Contract? Each energy supplier has different, and often complex, rules about renewing your business electricity or gas contract. We can find out the terms and conditions that apply to you by calling us on 0845 3881828. If you do have a rollover contract, your commercial electricity or gas provider will usually write to you from 120 days before your contract end date and your up-coming, automatic renewal. This letter opens up your renewal window, which means it’s up to you to terminate the contract before the window closes. Even if you’ve received the letter several months before renewal, you may have only one or two weeks to cancel. Are There Better Electricity Rates For Not-for-Profit Organisations? In the eyes of the utility companies, it doesn’t matter what the nature of your business is when it comes to energy rates. That includes all not-for-profit organisations and community buildings such as churches, village halls and Scout huts. However, there are better rates to be had. That’s why we’re on hand to find cheaper business electricity tariffs UK wide. Still, this doesn't mean they can't compare business energy prices and switch to the cheapest electricity supplier. Plus, they may also be eligible for a lower rate of VAT and Climate Change Levy exemption. The VAT on electricity bills and gas bills can often make a significant difference alone! Are There Other Types Of Business Energy Contracts? There are a few different types of energy contracts for business. Two of the most common commercial contracts are ’28 Day’contracts and ‘Deemed Rates’contracts. What is a 28 Day contract? Some businesses find themselves on 28 Day supply contracts for different reasons. This could be because they don’t compare commercial energy prices or they’ve stayed with the same supplier since the market was de-regulated in the 1990s. The problem with a 28 Day contract is that they’re at the mercy of fluctuating market prices. Although these prices can go up and down, the pricing is rarely competitive for the customer. We advise going for a competitively priced ‘fixed rate, fixed term’business electricity contract for the minimum of one year. This can even be with the same supplier that the 28 Day contract was with. The benefit of a 28 Day is, as the name suggests, you can give 28 days notice before switching to cheap business electricity. To put it bluntly, Deemed rates often offer the worst possible pricing for customers. Also known as Out-Of-Contract rates, these are set up for businesses that have recently moved to a new property. Alternatively, the business’previous contract has expired and there’s been no switch to a new supplier. This can lead to very high charges. Fortunately, like 28 Day contracts, a maximum of 28 days notice is all that’s needed to cancel and switch to a cheaper electricity business rate. What Does Half-Hourly/100kW Supply Mean? Half-hourly supply meters tend to be for larger, energy intensive business. These business’average peak electricity usage are greater than 100kW (kilowatts) in the previous year, during any three months. You can find out if you’re a half-hourly business customer one of two ways. Firstly, your meter will have a communications link that allows it to be read remotely every day. Alternatively, your bill will have a meter reference number beginning with ’00’. We have a designated team of specialists who cater specifically for the half-hourly market, and can arrange for the best possible prices in this area. How Do I Switch Commercial Electricity Supplier If I'm New To The Property? When you move your business to a new property, the previous tenant’s supplier will be supplying you. The downside of this is that you’ll undoubtedly be charged on an out-of-contract rate, which you can be sure will be at a higher than average cost. For this reason, it’s essential to arrange your new commercial electricity contract as soon as possible when the business has moved in. We’ll help to make this transition. All we need is the name of your current supplier and your meter serial number. We can then make an energy price comparison and make the best suggestion for your new business electricity tariff. 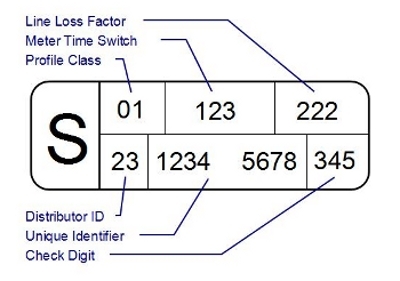 The meter serial number, also known as the meter ID, isn’t the same as the meter reference number. This serial number is 9 or 10 digits long and written on the meter itself, written in this format: A12B 34567. Can A New Meter Be Installed? Yes, a new gas or electricity meter can be installed at your business premises. This is often essential in properties that have a meter for premises that also has residents, such as shops, therefore require separate meters. You might even be upgrading your business’site that might require a maximum demand a half-hourly energy supply. This too would need a new meter. We can help with this too, and have a great deal of experience with arranging the installation of meters. How Do I Switch Commercial Electricity Supplier? We’re here to make the switch of business energy supplier for you, but you’ll need to send a letter of termination to your current supplier. The letter of termination will stop your supplier from rolling over and renewing. Different suppliers have their own termination rules, so we’re on hand to speak to and help you go through the process. What If My Energy Supplier Rejects A Switch Over? There shouldn’t be a problem in switching your electricity supplier if you’ve given them sufficient notice as of their terms and conditions. What can cause an issue is if there is outstanding debt on the existing contract. By arranging your switch to a new business electricity provider, we will ensure the process runs as smooth and efficiently as possible. Can I Be Cut Off When Switching Energy Supplier? Your energy supply cannot be cut off because you’re switching electricity supplier. It takes around 4-6 weeks to switch your commercial energy supplier. We will take care of the whole process of switching for you. You’ll have a direct number to call an adviser if you have any questions and we’ll keep you updated every step of the switch. What’s more, we don’t just leave you to it when your switch is complete. You can still come to us for help and advice during the course of the contract. We’ll also let you know when your renewal is due so you can decide if you want to stay with your energy supplier, or find a new deal to get the cheapest electricity or gas price. What VAT Rate Am I Charged On Business Gas And Electricity? As of 4th January 2011, VAT on gas and electricity for business is charged at 20%. That is, unless the business meets the ‘De minimis' requirements. ‘De minimis’means that your business uses, on average, no more than 33kwh per day (1000 kwh per month) for its commercial electricity. For business gas, this is an average of 5 therms or 145 kwh per day (150 therms or 4,397 kwh per month. If a company’s usage meets these allowances, there will only be a 5% VAT charge on electricity and gas bills. The Climate Change Levy, also referred to as the CCL, was introduced in 2001. It’s a government tax covering the use of commercial energy across areas including the public sector, agriculture and business. Do Businesses Qualify For VAT Discounts Or CCL Exemptions? Domestic and residential buildings, specifically accommodation created for the armed forces, the elderly, the vulnerable, children and for religious dwellings. Caravans, houseboats and self catering, holiday homes and accommodation. Call us on 0845 388 1828 and our knowledgeable team will give you the best support and guidance to make the switch to your new business electricity and gas supplier.